The Koenigsegg CCR is a mid-engined sports car manufactured by Koenigsegg. It briefly held the world speed record for a production car and is currently the fourth fastest production car in the world, behind the Bugatti Veyron, SSC Ultimate Aero and the Bugatti Veyron Super Sport. 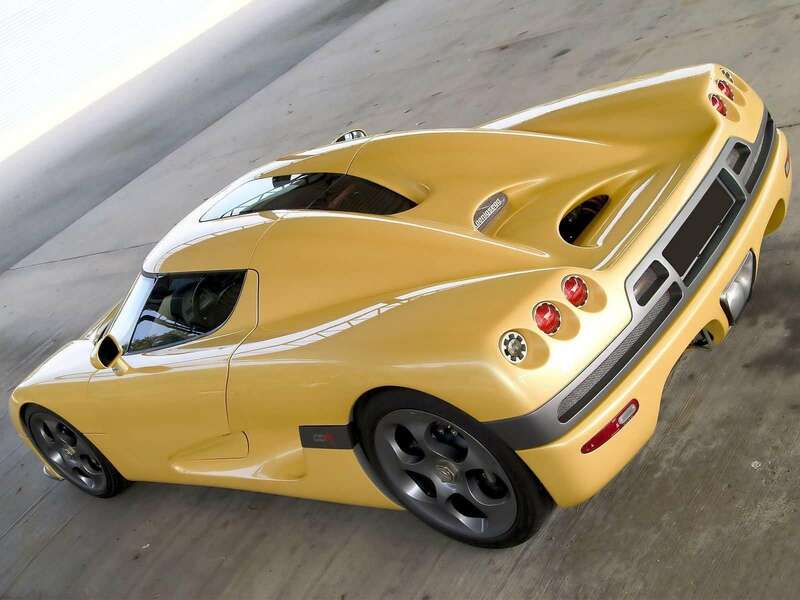 Debuting at the 2004 Geneva Auto Show, the CCR is quite similar to the CC8S and like its predecessor it features dihedral synchro-helix actuation doors. It has, however. various improvements. An upgraded body with a larger front splitter for optimized downforce, tweaked headlight arrangement and revised rear end. New larger tires and wheels equipped with larger brakes. Upgraded suspension and a more powerful engine with twin Rotrex compressors, producing 806 PS (593 kW; 795 hp) at 6900 rpm and 920 N·m (680 lb·ft) of torque at 5700 rpm. On 2012 Koenigsegg upgraded the number 17 CCR. The upgrades included performance, interior and exterior packages. Koenigsegg fully upgraded the engine management system and added a Hydraulic Lifting System. The exterior updates were yellow pearl paint, CCX style rear diffusor, CCX style side splitters, rear bonnet air vents, CCX carbon front splitter, CCX style carbon venturi, and the last but not least, Top Gear Wing. The interior was updated with special black alcantara and leather combination with yellow accents, and for entertainment they Betobox which is a battery saver, a stereo, and to maximize security, an updated alarm system. A German based tuning company named EDO Competition highly modified a CCR in 2011. The company's process with the CCR began with a modified ECU to boost power and a modified drive ratio to allow the vehicle to hit its torque peak earlier. The six speed gearbox was disassembled in its entirety and the plastic bushings were replaced with Uniball units. Due to the remapped ECU and the drive ratio, power was up from 804 bhp to 891 bhp and the reduction of the redline to 7,200 rpm. As the result, the EDO Competition CCR Evolution can get from 0 to 62 mph in 3.2 seconds, 0 to 124 mph in 9.7 seconds, and 0 to 186 mph in 23 seconds. As for the exterior, the tuner offered a new set of wheels with a coat of charcoal paint and an updated front end with auxiliary lights. The interior of the Koenigsegg was then covered in Alcantara material and a redesigned center console was added to accommodate a new infotainment system with a reversing camera and a custom-made pouch for the immobilizer remote. The display was integrated into the dashboard. The total cost for this customization kit was €40,000 or $56,428. At its debut, Koenigsegg claimed the CCR to be the fastest production car with a theoretical top speed of more than 395 km/h (245 mph). 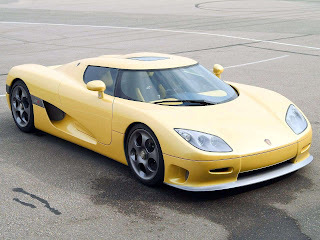 Said claim was put to test on February 28, 2005, at Italy's Nardò Ring where a team of five Koenigsegg engineers and mechanics together with founder Christian von Koenigsegg ran a standard CCR, driven by Loris Bicocchi to a top speed of 387.87 km/h (241.01 mph), breaking the fastest production car record that was held for 8 years by the McLaren F1. However in April 2005, not long after the CCR claimed the record, a prototype of the long awaited Bugatti Veyron took the crown with a top speed over 400 km/h (249 mph) with the production model reaching 408.47 km/h (253.81 mph). Last updated on 31 August 2013 at 19:06.